Just tried this and it’s not bad but it doesn’t have the intensity of an Tio Pepe en rama fino and I’m struggling to see why it should be £9 more expensive. Nor can I agree that it is ‘very long’. 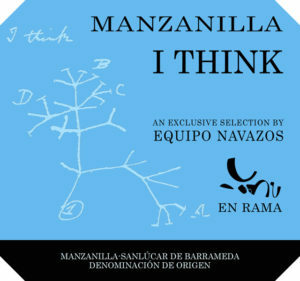 If you want that characteristic try sherries from Equipo Navazos. ‘Quite long’ would be more accurate. Worth trying if you are interested in sherry, as I am, but it seems to me rather overpriced. But yes, I completely agree. 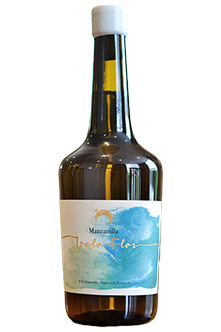 A chilled fino or manzanilla can be just the thing in summer, and amontillado is none too shabby either. And sometimes those dishes that can be a bit problematic with more standard table wines magically go with these wines. I’m fairly traditional and reserve the heavier styles for winter, but I’ll bet there’s plenty of summer scope there too. An update on this, three days on, in the fridge. Much better - longer , more aromatic, richer. I still think it is overpriced, though and wonder if there is a bit of ‘upmarket positioning’ going on - cork, not stopper, waxed capsule, unusually shaped bottle, untypical label. PX on ice cream is a wonderful thing! I saw some vintage sherry in M&S yesterday, Lustau Anada 1998. Is it worth trying? Saying that it is not super expensive for what it is, so not much of a punt to try it once… Anyone with some experience? Yes, well as I’m the only Sherry drinker in the house - the other half just doesn’t “get it” - it can only ever be a “present to self” . Good by me! Surely there’s no space left for the sherry?! The wife purchased it a week or so ago, but it will not be opened for awhile but it has had very good , as Inbar says, reviews. Well, bought it now - and will wrap it nicely and present it to myself on the 25th. No element of surprise, but there will be excitement regardless. And will be nice to confuse the other half and the girl. One thing, though - my local M&S did not stock a 1998 one- but a 2000 one. I asked, but they said it was the only one on stock. Not that it matters much - I’m sure it will tick all the metaphorical boxes, but would be interested to hear if your local stocked the 1998 one. Was it the 1998 or 2000, @Cerberus…? I have just asked the oracle to check andddddd it is the '98, I doubt it will make a jot of difference. I bought the 2000 a while ago - still not opened - and current stock in two M&S stores near me is the 1998. I drink Sherry when I’m happy and when I’m sad. Sometimes I drink it when I’m alone . When I have company I consider it obligatory. I doubt it will make a jot of difference. No experience but JR wrote it up very recently as part of her Xmas things and liked it very much .